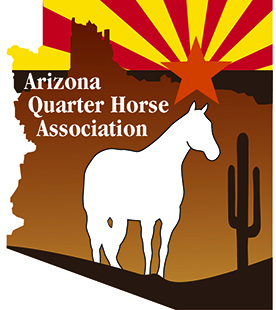 The Arizona Quarter Horse Association (AzQHA) welcomes all people interested in the American Quarter Horse. Husband and Wife: $30.00 includes a subscription to the quarterly newsletter the official publication of the Arizona Quarter Horse Association and allows both husband and wife to show in Amateur (if eligible) and or Open classes at AQHA or State approved shows and earn points toward year end awards. Individual: $30.00 includes a subscription to the quarterly newsletter the official publication of the Arizona Quarter Horse Association and allows the individual to show in Amateur (if eligible) and or Open classes at AQHA or State approved shows and earn points toward year end awards. Youth: $10.00 allows the youth to show in Youth (if eligible) and Open classes at AQHA and State approved shows This membership does not include a Magazine Subscription. Youth: $20.00 allows the youth to show in Youth (if eligible) and Open classes at AQHA and State approved shows This membership includes a subscription to the quarterly newsletter the official publication of the Arizona Quarter Horse Association. Show Dough: For first time AzQHA or AzQHYA members only. $30.00 for Individual or Husband/Wife membership receives a $100.00 credit towards No Bling shows and Trail Challenges for entries/stalls. Youth memberships of $10.00 (no magazine) or $20.00 (with magazine) receives a $100.00 credit towards No Bling shows and Trail Challenges for entries/stalls. All State Memberships must be renewed before January 1 of each year to receive show points from the first of the year. Dues paid after January 1 will receive show points from the date of payment of dues. To show at AQHA approved shows, EVERY exhibitor must have a current AQHA individual membership. If a horse is owned by a ranch or partnership, the ranch or partnership must have an AzQHA membership, even if the persons involved already have their own individual membership. Additionally, to show at approved AQHA shows, every exhibitor must have a current AQHA individual membership. Example: a horse owned by Mr. and Mrs. John Doe and exhibited by Jane Doe and John Doe. Jane and John each must possess an individual membership with AQHA. Membership for Mr. and Mrs. Doe is not valid. To show in Amateur classes, an amateur card must be obtained from AQHA prior to showing. Youth: The Arizona Quarter Horse Youth Association (AzQHYA) is for Youth 18 years and under (the age of the youth on January 1 of the calendar showing year). In order to show and earn points in Youth or Open classes the Youth must be a member of both the State Youth and National Youth Associations. Dues for the National Association (AQHYA) are (contact AQHYA) per twelve month period. Payable to: AQHYA, P. O. Box 200, Amarillo, Texas 79168. Horses shown in Youth classes must be registered to the Youth or a family member (see AQHA Rule Book). Horses registered in a ranch or partnership name are not eligible for Youth classes. Amateur: All Amateur riders (19 years and older) must have a current National (AQHA) Amateur card and either an individual or husband and wife State (AzQHA) membership.